Things have been extremely busy and I haven’t had much shop time to work on the the tool cabinet. But today, I got the tool cabinet put together and edges trimmed up. 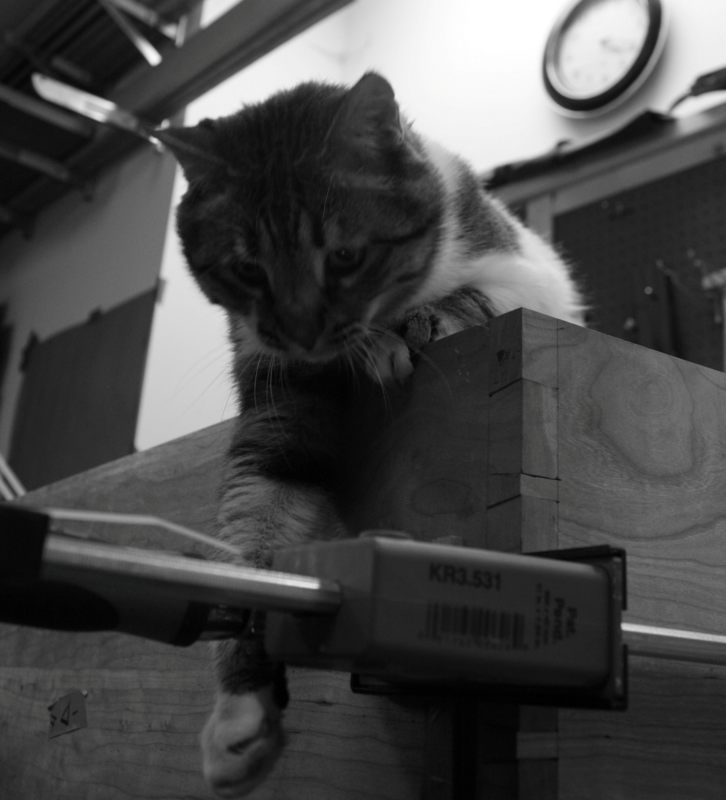 Inspector Kitten came in and declared the dovetails .. mediocre. And a disappointment .. since they weren’t actually attached to any birds. After this, I’ll start working on the interior joinery. Then .. there will be another long delay while I put together my rip saw. Pictures to come on that. 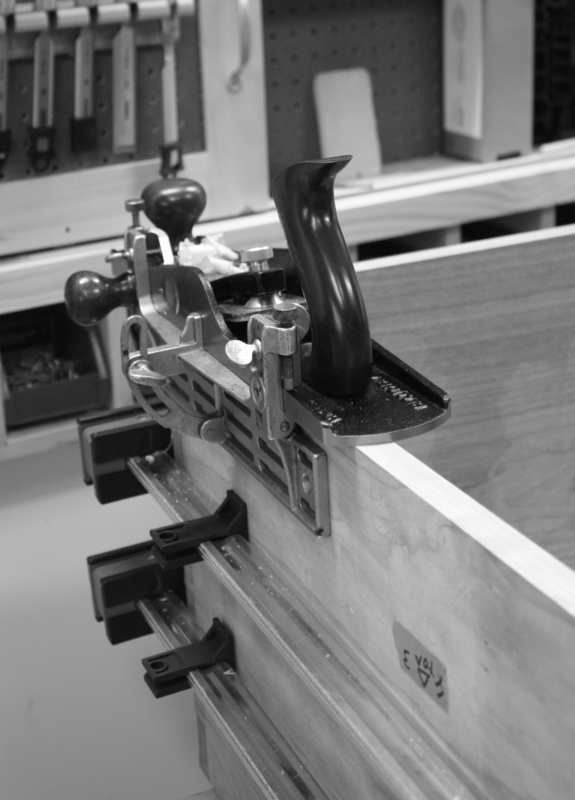 This entry was posted in dovetail, Inspector Kitten, tool cabinet. Bookmark the permalink.